Now I don't know about you, but I am the worst when it comes to shopping. I can easily spend hours trying on various pieces and come back with bags of clothes, much to my bank accounts disgruntlement, only to then sit in my wardrobe untouched. In the past I've definitely made a few impulse buys and then forgotten about them until they're no longer returnable. Over the years I've begun to become a lot more selective with my purchases. Here's my guide to a few things you should consider before parting with your pennies. Will you really not be able to survive without buying it? Chances are if you're deliberating then there is already a seed of doubt in your mind. One of the best ways to tell if you truly need it is if you keep going back to it every time you're in store. Another thing to consider is does it actually suit you? Too many times I've bought something without it really looking very flattering, ending up with the piece being left hanging in the back of my closet. This is a trick that I learned from Lily Melrose (LLYMLRS) many moons ago and has actually become one of my holy grail rules when it comes to shopping. The basic concept is that you set yourself a time limit (within the returns policy time frame) to wear whatever it is you have bought and if you don't wear it within that time then you return it. For example - I always set myself 2 weeks, as I feel that this is more than enough time to see if it makes it into my everyday wear. I've found that it really does work. Since using this approach I've actually returned quite a number of pieces and not felt a hint of regret. Of course this rule excludes occasion wear or seasonal pieces bought in the sales since I don't expect to be wearing a bikini in the middle of winter! Again, I know this isn't entirely applicable to everything you buy, but I make sure that a large majority of my wardrobe is versatile in being able to dress it up or down as well as suitable for a number of seasons. This means that you'll be able to make the most of your purchases and really get your monies worth out of them. 04. Do you already have something similar? 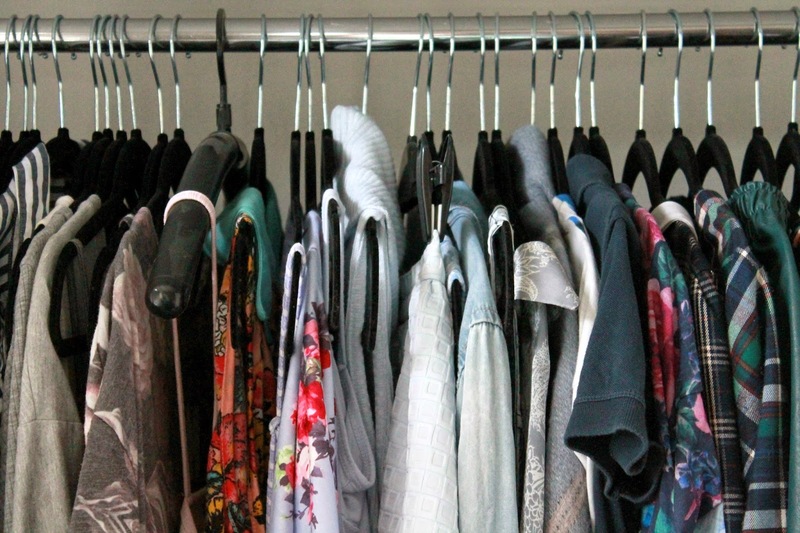 All to often we can find ourselves drifting into a bit of a clothing rut where we end up with about 5 slightly different variations of the same top without even realising. Of course it's not a problem if you happen to like a particular style, but do you really have to buy another oversized tee? This is another habit I've recently taken on board. It's all very well going into Primark and getting loads of stuff for your money, but how long will it last? Wouldn't it be better if you only bought one or two bigger investment pieces that you know you'll get you monies worth out of? This doesn't mean I'm completely discouraging Primark or any 'cheaper' shops as I love a good bargain as much as the next person! The key is to buy in moderation. So there we have it! My 5 things to consider before buying! Hopefully this will help give you gudance on curbing your impulse spending habits & leave you with a fabulous versatile wardrobe! Let me know your top tips for saving!